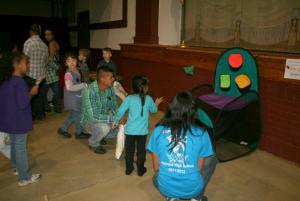 Grace UMC reaches out to the Hastings community to celebrate children, literacy and bilingualism. 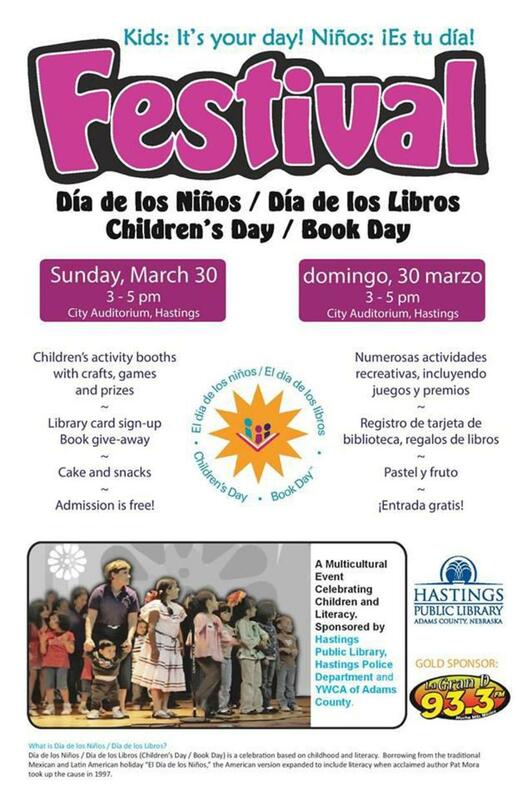 On Sunday, March 30 from 3:00 p.m. to 5:00 p.m. an awesome multicultural event will take place at the Hastings City Auditorium celebrating children and literacy. This annual celebration is called Día de los Niños/Día de los Libros (Day of the Children/Day of the Books). The event is sponsored by Hastings Public Library, Hastings Police Department and the YWCA of Adams County. Around 500 children and parents attend the event. Each child receives a free book at the entrance of the festival. There are many activities like bean bag toss, face painting, informative booths featuring community programs and hand stamping. 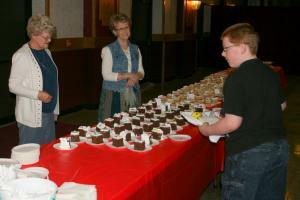 Volunteers from Grace UMC help serve fruit, cake and other refreshments. This event emphasizes the importance of advocating literacy for children of all linguistic and cultural backgrounds. It is a great way to celebrate children, families and reading.